DESOTO—DeSoto is not a city that usually sees such division. However, in last week’s Democratic Primary race between former DeSoto Mayor Carl Sherman and former DeSoto City Council member Deshaundra Lockhart, we saw a city somewhat divided. On the one hand you have a candidate who has previously taken the helm of the city and led it to new heights in many ways. His opponent, is also a dedicated public servant and three term council member. At the polls voters in District 109 had to make a choice between four candidates. By the end of the night Sherman and Lockhart were the clear leaders. And a District 109 runoff will give the voters a chance to decide between the two. Unofficial results had Lockhart taking 44.73% of the vote or 6,894 voters to Sherman’s 40.18% of the vote or 6,196 voters. Neither candidate had 50% resulting in the runoff election in May. 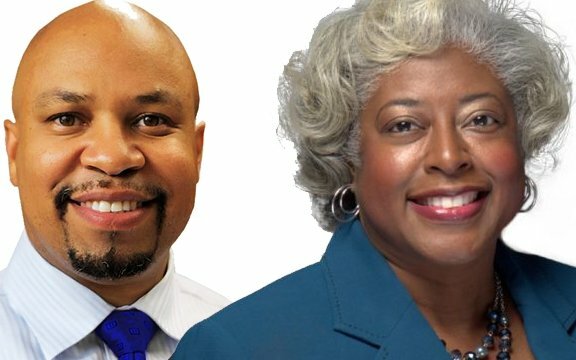 The two additional challengers were Christopher Graham with 5.92% or 913 votes and Victoria Walton with 9.16% or 1,413 votes. Senator Royce West and current Texas House Representative for District 109 Helen Giddings were in attendance as well. Sherman made the decision to run for the district seat after 13-term State Representative Helen Giddings, who has openly endorsed Sherman, announced her retirement. Giddings was first elected to the office in 1992. Since then, she has led a number of committees including the House State Affairs Committee and the Texas Legislative Black Caucus. “Carl ran a positive campaign focused on issues that concern all Texans, but particularly District 109,” Giddings said. The runoff election will be held May 22, 2018.